I have a thing for the colour red. I love to dress everything around me in red, not to mention my love towards bright red lipstick. 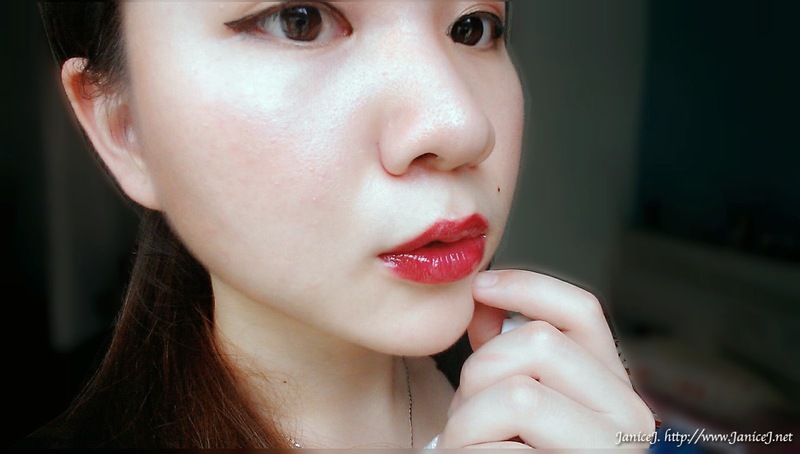 I own a Red lipstick from Anna Sui but I seldom wear it. These colours are just too striking for casual day out. Furthermore, there are times where I am not prefer to be the centre of attractions. I was given a chance to try out the Sovereign Ice Plum. 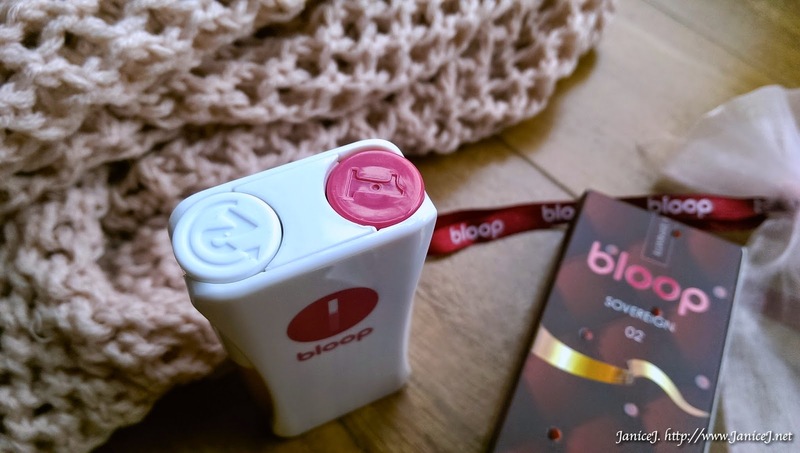 The lipstick from Bloop has a darker, blue tone compared to my pink tone lipstick. It is colder and bring the cooler side of the person who wears it. It gives me kind of vampire-ish feel, perfect for night out where you want a change from the usual friendly neighbourhood girl. 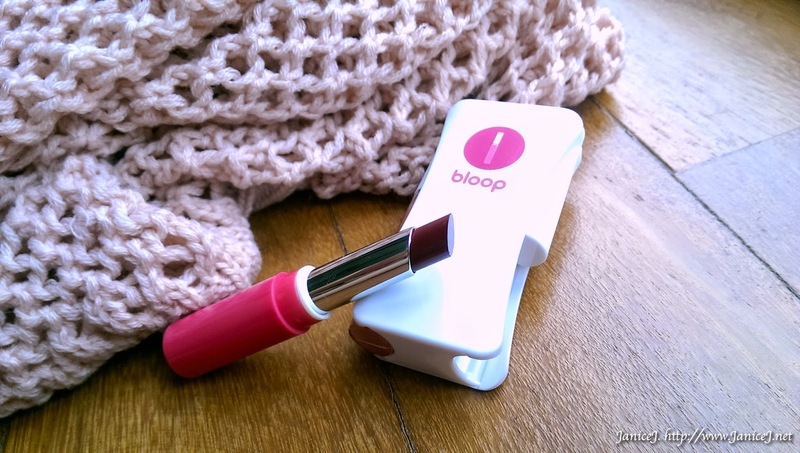 The Bloop Duo Matte Colour Lipstick gives you three different types of shade. We have the matte red on top, followed by the almost transparent gloss and the combination of both, which is also my favourite. The packaging of the Duo lipstick make your lipstick hunt from bag easier, as it holds both lipstick and lipgloss together. However, I do not like the plastic feel of the holder, giving it less prestige feel. It is something that I would not use in public. White plastic holder has two components inside, the number 1, semi detachable lipstick and the number 2, lipgloss. Another downside of the packaging is that you can not detach them from the holder. You will have to bring both out even if you do not want to use the gloss (let says), for the day. The colour is good for anyone with pink base skin tone. It will enhance your skin and make you look fairer. I use only the lipstick without the gloss. It is not totally matte and I guess that is why it is moisturising. I match the look with sleek ponytail and a sleeveless dress. On my face I have some light earth tone eyeshadow and lined eyes. You will not want smokey eyes with the look as the focus should be on the red lips. Another way to wear it would be with the gloss on top. With gloss, the colour appears brighter and are really glossy. It is not the kind of sticky gloss that I would hate, surprisingly! Top with gloss and you will have great shines to go with. 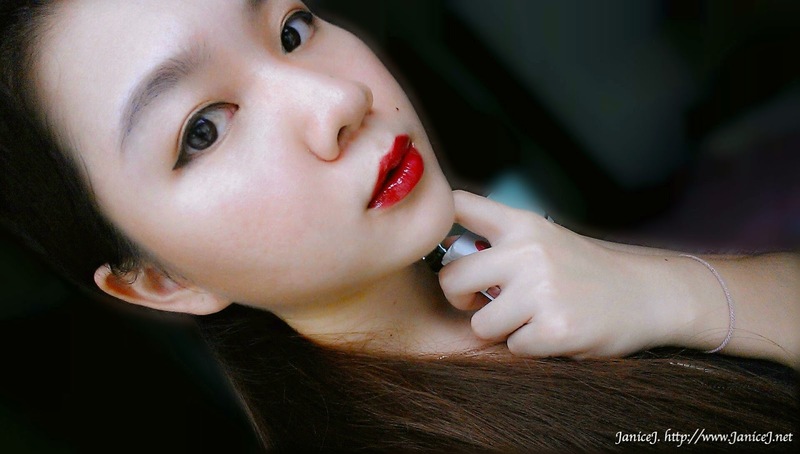 In overall, I am really happy with the texture and colour effect of the lipstick. I love how it makes me look fairer, and how obvious is the colour on application. Other than that, I like the none sticky gloss. The downside of the lipstick, sadly I would say is the packaging. 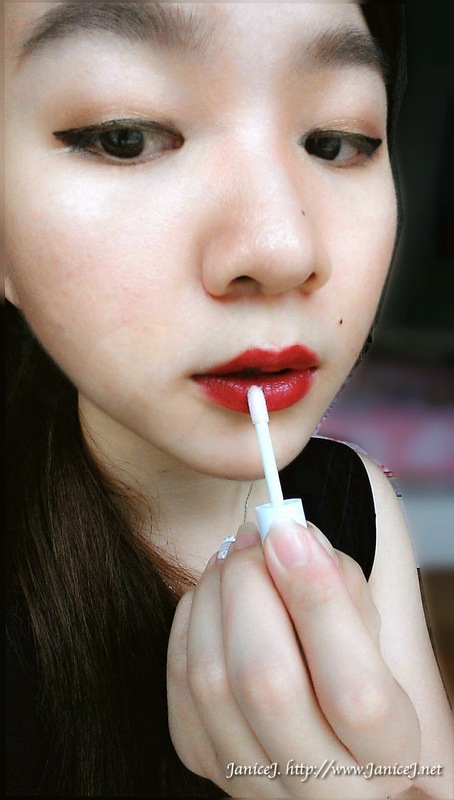 Other than that, the lipstick is a little too easy to be smudge // hard to line the lips properly. You will have to be really careful or you ended up like Ronald McDonald, or get some red stains on your teeth. I think every girl should invest in a red lipstick. It does not need to be an expensive one as you will not wear it everyday. 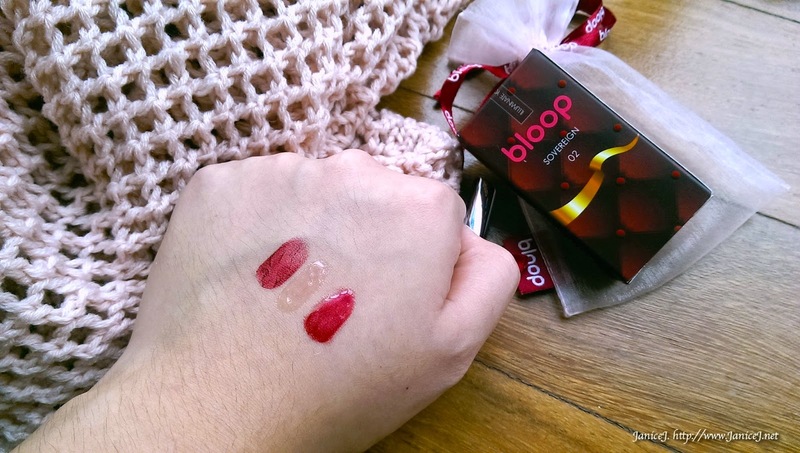 So far I think that RM38 for the two (lipstick + lipgloss) is a great deal @ Bloop website. Not a fans of red colour? It is okay! There are a total of five colour selections. I am sure that there will be one that suit your look of the day. Is red your type of colour? 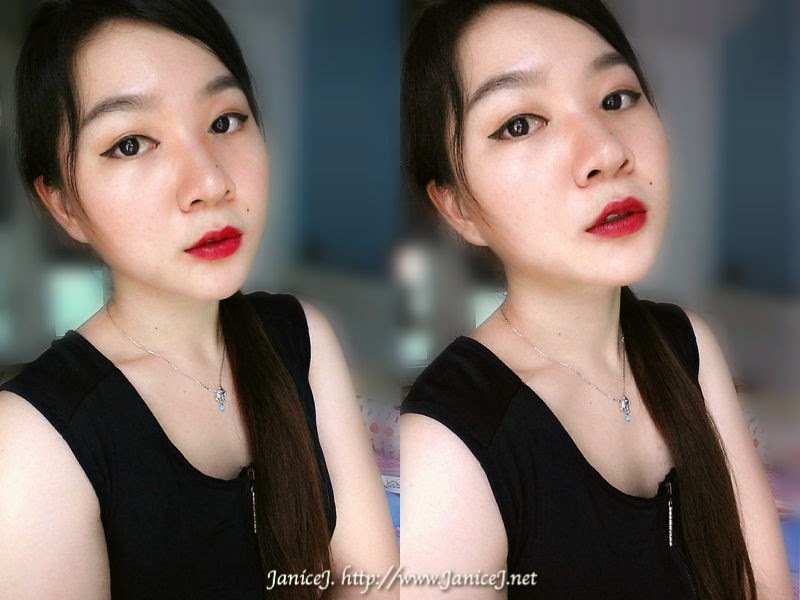 Do share with me your thought on red lipstick.